Earlier this week I hosted a Live Business Opportunity Call to share a bit more about what its like to be a coach on our team. Its one of my favorite calls of the month as it gives me an opportunity to SHARE just HOW this business has impacted my life and those on my team!!! There are a lot of questions I get regularly – from WHAT DO YOU REALLY “DO”, to “HOW DO YOU MAKE MONEY”, to “BUT…IS IT A PYRAMID SCHEME” and you know what – I GET IT! I totally understand why you are asking these questions because just over 2 years ago I had the same questions. I watched my coach for MONTHS before I ever looked into what she TRULY did. Before I ever joined a challenge group. Before I believed in the power of clean eating & Shakeology. Before I knew – there was a life-changing OPPORTUNITY at my finger tips. Before I was ready to FINALLY – make a change…for my family, myself and my future. And when I got tired of sitting on the sidelines I went for it – jumped all in – and I have never looked back! Graduate from high school, then college, get a job, find prince charming, start a family, etc…And you know what…I followed that recommended game plan pretty darn closely! But what I soon found out was that 4 year degree with the CPA license in hand & a solid foundation in a big four accounting firm did nothing to fill my cup. I wanted freedom to be home with my babies! And with not much of a game plan – I gave up what I had built and that’s exactly what I did! I left my career so I could be MOM and then 10 months later stumbled upon this new opportunity. One that allowed me to use the skills I learned throughout my life but in a different way. Yes, I have built my business on social media by inspiring others, helping them work towards their health & fitness goals, while continuously working on MYSELF. I have learned to embrace personal development (this coming from the girl who DESPISED reading any type of book), I have built a team of others just like me with similar goals and desires to help others & while I still get to first and foremost call myself MOM I am also providing for my family in ways I never dreamt possible! If you would have told me 9 years ago when I wrapped up my college graduation with a degree in finance & accounting – this is where I’d be today – online business mompreneur – I would have NEVER believed you. But I am super excited to be here today as living proof that your dreams can change, your path isn’t always what you imagined and sometimes, that road less traveled is sometimes the best route to take! I received several of inquiries from my followers who are not on Facebook but were interested in the Sneak Peek event so I’ve decided to try something different this time around and share the videos from my team RIGHT HERE WITH YOU!!! There are 8 videos you’ll see below and I encourage you to listen and email me (MAEGANBLINKA@GMAIL.COM) to discuss any questions and help you determine if this business – if our team – is the right fit for YOU! If you are ready to move on – fill out the form below and we’ll set up a time to chat!!! 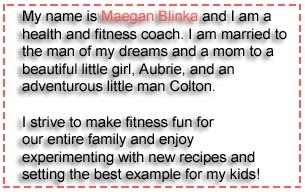 Our first video is created by myself (Maegan Blinka) and I’m just going to go ahead and give you a little introduction and let you know what Beachbody coaching even is!!! So sit back, relax, enjoy, and again, feel free to ask questions at any time!!! Hi there! 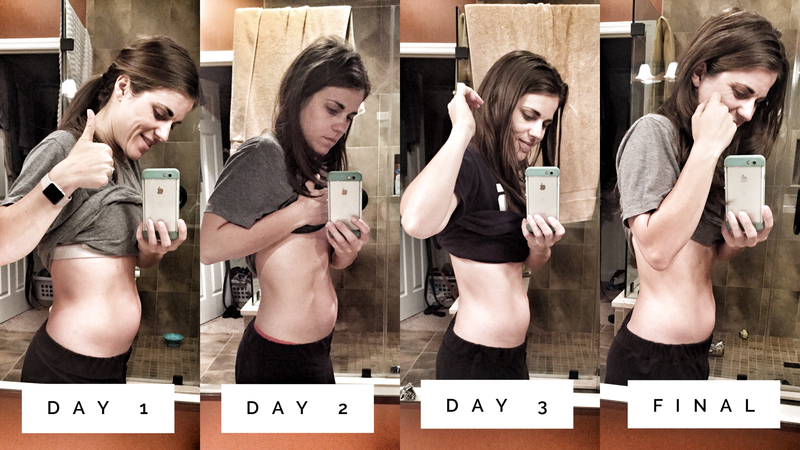 I’m Carrie and I love being a Beachbody Coach and mom…it’s the perfect combo! 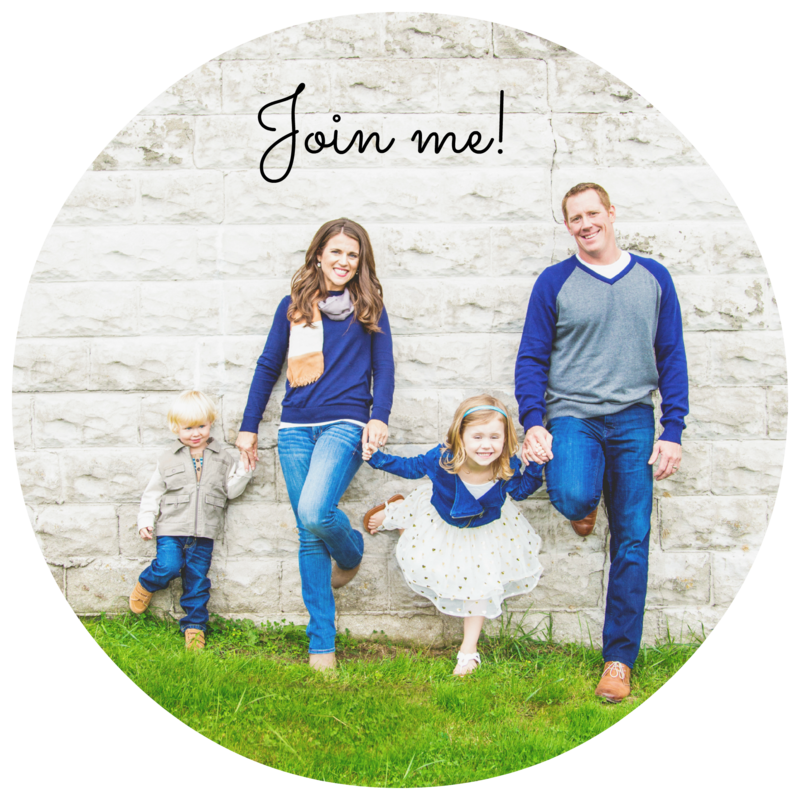 If you’re thinking the demands of 3 busy kids would keep you from building a business…you’re so wrong! I use the time (sometimes small amounts) I have throughout the day! It is all about how you prioritize… if it is important to you you will find a way! And yes, sometimes we get a little creative too! (I think my four year old, Ellie, is going to start making her own Beachbody videos soon! Haha! I really have the best of both worlds…. becoming the best version of myself.. while growing a business… all while watching my kids grow! Here is a typical day in my life! So now you know how we use social media to build our business, but you may be concerned about time. I totally get it! That was one of my biggest fears before I started as a coach. “Do you have to coach full-time to be successful?” is a question I receive often from people who are on the fence about becoming a Coach. People assume that you need to be a full-time coach and that this needs to consume your life in order to see any sort of result from it. This opportunity is completely the opposite of that. It’s up to you what you wish to invest in this, whether you want to invest a few hours before bed, a couple hours throughout your day, an hour in the morning or twenty minutes on your lunch break. The ball is in your court and the decision is yours. Whatever you decide, you can still be successful. 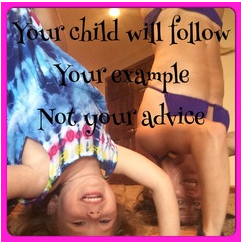 I work full time as a teacher and I am mom, wife and still manage to balance it with Beachbody Coaching! This decision has kept me busy in a GOOD, HEALTHY way, and I am inspiring others to live a clean, happy lifestyle as well! Hi everyone! I am Brier, part time working mom of two teenaged girls. I want to talk a little about what your role as a coach will be about. First thing to know is that coaches don’t “sell”, coaches HELP. I have never in my life been a person who could or wanted to sell things. I am not a pushy person. I became a coach because I wanted to share my success with others. I am truly passionate about clean eating and fitness. I am in their homes every day encouraging them and helping them to reach their full potential. I have never once felt that I had to sell anything. I simply share my story and the Beachbody products speak for themselves. In fact, I rarely even talk about “products”. I talk to people about the path they would like to take to start their journey, and then we talk about what program will fit their needs. It truly is a job that feels like a gift. Hey everyone! Here’s my video that I wanted to share with all of you! It goes through my story as a Beachbody coach and how I “fit” coaching into my crazy hectic life. We all have busy schedules whether it’s a full time job, kids, etc, etc. But no matter what you have going on in your life I want you to know that you CAN make coaching work for you! I was able to successfully build my business with Beachbody with a full time career, being a cheer coach, through being pregnant and the birth of my son. And if I can do it, so can you!! Being a team Beachbody coach offers the opportunity to build a business however YOU want – you control your hours, your goals, your income because YOU are your own boss. Now it’s time to get talking about the potential for income and financial freedom! Each person’s income will vary, depending on their own effort and work put into coaching! But we do have coaches that have earned up to a 6 figure income in 12-18-24 months of being consistent as a coach! Did you see the key word…CONSISTNECY!!!! Again, the success depends on YOU, but the sky’s the limit! You do not have anyone telling you how much you can make… the more people you help, the more you grow and the more successful you will become! What’s great about this company, is you are not only given commission when people purchase a fitness program, supplements, or Shakeology from you, but they also reward you with bonuses when you sign up coaches (working or discount), and for certain rank advances as you are growing your team! OMGOSH…you’re thinking of becoming a BEACHBODY COACH?!! SAY WHAT??? Please take 2 minutes to read the following and watch this video! * You need to do this to MAKE a business: NOPE. 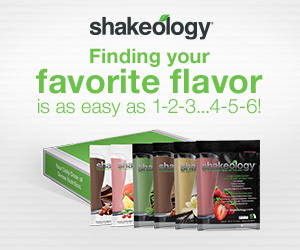 Some do it simply to cover the cost of their Shakeology that they can’t go without. Others use it as a “hobby” who LOVE Beachbody’s products and use the extra income to pay off school loans, make their car payments, use it to pay their mortgage or rent, pay off some credit cards, or maybe even some “fun” money or to put into their savings. Others, like myself, want this as a BUSINESS. In less than 1 year, I was able to leave my teaching job and at age 31, 11 months into the business, I’ve officially RETIRED from teaching for good. And let me tell you, my first 2 months didn’t go as I planned. People were NOT knocking my door down but my coach reassured me that to keep posting and sharing what I was doing. By my 3rd month, things started happening, my consistency was paying off and was reaching and inspiring many. By month 5, I made what I did as a teacher each month, by month 10 that doubled. And now almost a year into it, that has tripled. Every coach’s paycheck is not a “given”. What you put into it is what you get out of it. *You need to spend “X” amount of hours on this: NOPE. You can do as much or as little as you want. In the beginning I was able to make it by giving a half hour here and there. Now, naturally that I’m running 2 businesses and ready to open my 3rd business center with Beachbody, it DOES require more. But I know that all the work I’m putting in now, is going to pay off (just like any other CEO…investing time in the beginning) then you get to a point where you can “coast…and enjoy” … and really cut back on hours once you have set YOUR foundations and set YOUR business up as you see fit. That being said, I work when I’m able to make the time around my children and my other commitments and priorities. *You don’t have the money for this to get started: Let me tell you right now…if ANYONE gets this, please know it’s me. Despite working tons of jobs at once, due to many unpaid leaves for my babies, we were scraping…and I mean BARELY getting by (some months…okay, a LOT of months, going under..it was a plain scary time and didn’t know if we had a way OUT). When I bought my first challenge pack almost a year ago (mine was $140), I had talked with my coach for MONTHS about this…back and forth if I could afford it (which technically I couldn’t), questioned would this work, would I annoy people with my posts…and then I prayed about it for quite some time…I knew in my heart that this is everything I needed in my life. I needed accountability to become the best version of myself; I’m 31 years old, 4 babies in 6 years and I’m in the best shape of my life. I needed, desperately needed the income and wanted to be home with my children. I needed to do something that I believed in and felt like I was making a difference in people’s lives and becoming an inspiration. And I knew if anyone was “bothered” or “annoyed” by my posts, that they needed my prayers and weren’t in the right place or happy with themselves. I took this leap of faith in becoming a Coach and you know what, a lot of my friends and family doubted this and said I was crazy. I can say almost every single person has come around and apologized and they now say they can’t imagine how different my life would be if I hadn’t gone against the grain and DONE THIS. This business is about health…it’s about happiness…it’s about changing LIVES. We inspire. We motivate and encourage others. We are acknowledged by doctors in all fields of all ages who are in agreement of how significant a change and impact our products DO have on a person’s health and life. We transform people physically but I gotta tell you, my favorite transformations are the emotional ones…the confidence levels. Personally, INSANITY pulled me out of a post partum depression. 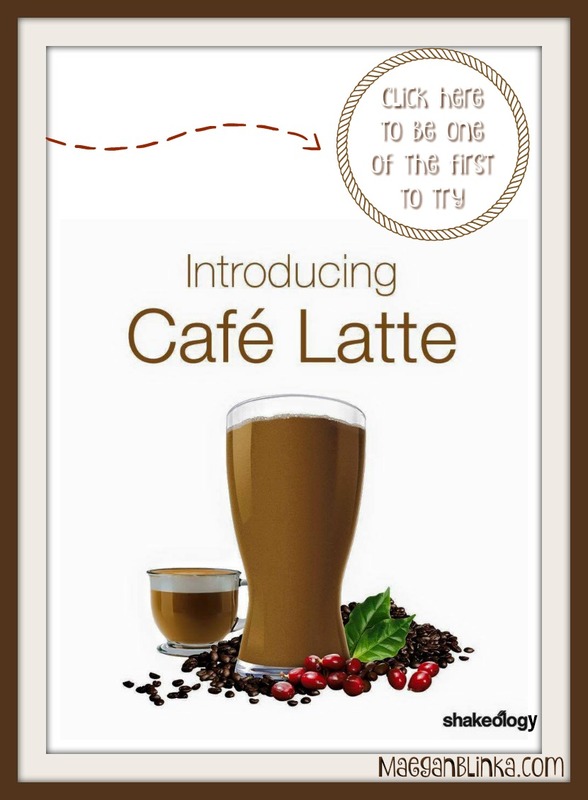 It was a total game changer for me, in all aspects of my life, this company! Can this be a hobby, part-time job on the side that can make you some good pocket cash while getting/staying fit and healthy? ABSOLUTELY. Can this be a career that can completely change what you do everyday and your family’s financial status. ABSOLUTELY. If this sounds like something you are seriously considering and you would like to be a member of our One Fit Fam team – then check out the final video with the entire lowdown on coaching, support, and hopefully all of your questions answered. I am a 2015 Elite Coach and currently ranked #140 out of well over 400,000 coaches in the entire network! While this may not mean much at this point I want you to understand this means you are part of a FAMILY. We work together, I mentor you, train you and match your speed to help you reach whatever goals you set for yourself! As a coach on our team you’ll have the chance to participate in my monthly Coach Training Academy and you’ll have access to my Challenge groups, guides, training materials, team page and more! The first Monday of every month kicks off my new Coach Training Academy – don’t miss the next group! Because nothing comes without hard work : Beachbody does not guarantee any level of success or income from the Team Beachbody Coach Opportunity. Each Coach’s income depends on his or her own efforts, diligence, and skill. See our Statement of Independent Coach Earnings located in the Coach Online Office for the most recent information on our Coaches’ actual incomes.